New hi-rise condos are being built overlooking the golf course at the Country Club where I hang out so, needless to say, I went to the presentation given to members of the club prior to the dog and pony show that will be given to the general public. Of course, there was a sizable discount offered to members of the Club if they would sign up for a unit within one month of the presentation – during the pre-construction. Well, that got me thinking. Maybe this is where I should be so, I started thinking of pros and cons. In my case, the square footage is more than I have now in my little free standing home so downsizing would not be necessary. I have what a lot of folks would say is the perfect house for a single person at this stage of my life. All one floor, 2 car attached garage and is conveniently located in an upscale neighborhood. I decided to talk to my sons on two separate phone calls about the possibility of my putting my house on the market and moving into one of these new high rises overlooking the golf course and the clubhouse at Little Turtle. Actually, I should call them low rises because they are only four stories tall with five units to a floor. From the immediate argumentative tone of both sons they were so against my thoughts on this that they would not let me speak. They both took the financial aspect regarding this matter as their first and only consideration of my thoughts of the possibility of my purchasing a unit in this new complex. Both told me what a loser financially this would be for me. One son kept saying, you need to keep your eye on the “exit strategy” and that this purchase would make my exit strategy a real loser financially. You know, he argued that homes such as mine would sell much easier than a condo – blah, blah, blah. My youngest son, who is much more pragmatic took the same approach. And, I must say, they may be right because it seems to be a fact that condos do not sell as well as single family homes. Yes, and maybe they are right. This move would probably cost me more than what I am spending now on living expenses. And, again, son #1 kept repeating the word “exit strategy” because it would be harder getting rid of a condo than to sell my house if I were to have to sell and have to go to an assisted living facility. UGH. That is when the light came on. At the age I tend to think of “exit strategy”. And, not neccessarily exit strategy about selling a condo vs a home. I began to think of where I will be during the next five or ten years of my life – if I live that long. That is what I started to put into the formula. Apparently I was not able to get a word in edgewise with either son about my life’s “exit strategy”. All they were thinking about is what a bad financial deal this move would be. So, I started asking myself questions. Would I prefer to pick up my mail in the entry way of the new condo or would I still be walking out the front door of my home, down the porch steps and to the curb in the ice and snow to get my mail? And, what do I do if I fall on the ice? And, getting anyone to shovel my snow is almost an impossible task let alone getting anyone to maintain my yard. Would I prefer to move into a brand new unit or shall I consider the maintenance expenses that will more than likely occur during the next five or ten years in my 15+ years old home. New furnace, new air conditioner, new stove or refrigerator. BTW, I have already replaced the dishwasher and bought a new microwave oven when I moved in two years ago. Also, being an interior designer I can assure you I have over improved this little home if I intended to not live here till I died, but thankfully, the market it hot right now and I will probably get every penny and then some back if I were to sell at this time. So, maintenance in a brand new building with all new appliances might very well be a lesser headache than what my son kept harping on. One of the biggest reasons that I find the new condo overlooking the Country Club and golf course a plus is because of all the family chatter about my sons not being in the area as much as what they are now. In fact, in the near future there will be times when they will be totally inaccessible to me. Explanation being that my one son and his wife are thinking of putting their home on the market and moving permanently to their cabin about 1 ½ hours from here and the other son lives in Miami and he and his girlfriend travel the world for months at a time. And, the reason son number two is thinking of moving to the cabin is because he and his wife want to travel. Also, they have it in their plans to travel and stay for months at a time during the winters wherever they travel. Like, go to Florida or Colorado or out west someplace in the winters and come back to the cabin in Mohican forest while in Ohio. Nothing near mom, that is for sure. So, if you are faced with an “exit strategy” of any kind you had better be prepared to be able to make that decision on your own and to leave yourself in a situation that you will be independent of your children. . It makes housing and location of your home as a septuagenarian stressful and not necessarily a right or wrong choice. I have a lot of friends who live in the older condos in the area and even though the original reasons for buying there were for the right reasons those reasons are now reasons that do not work well for them. For instance, stairs. Most of the condos in this area are three levels, lots of wonderful spaces and way too many steps which is a negative to most septuagenarians. A good many of my friends have large, furnished spaces on all levels with decks and views and who the heck wants to clean and care for all that space, let alone heat it. My friend Dolly just told me that she paid a guy $300.00 to stain two decks and that was a deal considering that another firm wanted $500.00. So, the $300.00 she spent on painting her deck was in addition to the steep condo fees that she pays every month. And, the deck needs re-staining every other year. Another one of my friends moved into “independent living” and what a great deal that has turned out NOT to be. It is very expensive to buy into this kind of arrangement just for the benefit of getting housecleaning once a week and three square meals a day. But, she had a few health issues and her daughters thought that was where she out to be. Then as she declined in health, she could move into the assisted living quarters and last resort would be memory care unit if the need arises. She is miserable there, not necessarily wanting to participate in all the fun and games they make available but, that was the “exit strategy” that she took. She sold her condo at the Turtle and she will die where she is now residing and the expenses mount at a rapid pace because the more help you need once located in a facility as what she has moved into the more it will cost you. BTW, I would hate to have to be in the dining room at a certain time each day for my meals. I am much too free spirited to have that kind of regimentation in my life. In fact, the whole scene in an “independent living” or “assisted living” facility is definitely not for me. I would rather have my own home or condo as my “independent living” facility and when the need arises for health care I hope I can afford in home health care rather than institutional health care. Just saying. One thing that most of my septuagenarian friends and I have discussed, especially my married friends, is the fact that they need two bedrooms. They tend to like to sleep separately – sometimes because one person snores, or one of them likes to stay up late and watch TV or read in bed while the other wants to sleep. I have been told that if they end up in an independent living situation and more than likely they will have one bedroom unit that one of them will end up sleeping most nights in the recliner. Geeze. Personally, I would prefer to have two bedrooms, one for family visiting and also to use the guest room as a bedroom and my office. Again, if I were in an independent living facility I would be forced to give all of this up and I can honestly say I am not ready nor hopefully, will I ever be ready to live in such tight quarters. I hope I will never have to make that final “exit strategy” decision. I have been up close and personal to these kinds of facilities and I would care not to think of myself in one – not now or ever. I guess that is why these new condos being built are looking like a great “exit strategy” for me and the heck with what the kids think. In fact, I can’t think of a better way to spend my money. As my husband and I always did tell the boys, “we intend to die $10.00 overdrawn on our checking account” and buying one of those new units would help me to keep that promise. I have watched on TV with interest these things they call tiny houses. I think I would rather die than live in one of these. I think an RV is a much better choice but the really nice ones cost more than the brand new condo’s that I am considering. Plus, an RV-motor home is a lot of work so that is out for me. Now, let’s talk about downsizing. That seems to be the hardest thing for most of us to do in our 70’s. Think of all the crap and unnecessary things you have acquired over the years that for one reason or another you just can’t seem to part with. Well, I have already downsized once when I moved from Florida to Ohio to be closer to the family while being caregiver for my husband. And, since his passing I could probably use a little more downsizing. Another move would handle that. For some septuagenarians, apartment living has been the answer. If a light bulb needs changing, call the landlord. If the furnace breaks, call the landlord. But, it still comes down to stairs. Most apartments in the Columbus Ohio area are townhouses – living space on first floor and bedrooms upstairs and, worst of all, no garages. If you were lucky enough to find a rental in the neighborhood of your choice that was a one floor unit with an attached garage then more than likely you would get comfortable there and they would one day be converted to condos and you would either have buy the unit or move out. And, if that were not the case, you can be sure the rent would go up every year. By that time you might be getting closer to eighty and moving would be a huge burden and rent might be getting a bit high. Seems like there is a lot to think about as your “exit strategy” regarding living quarters looms heavy on your mind. 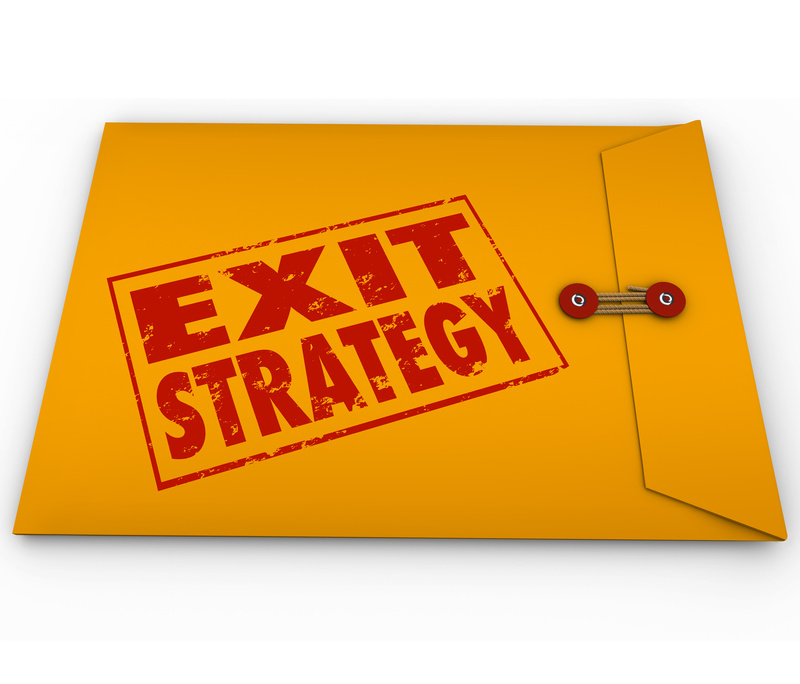 I guess I could go on and on about “exit strategy” when it comes to living quarters but there is more to that term than just where and how to live. Having lived in Florida for 27 years I can honestly tell you that I am familiar with most all kinds of different living arrangements. In fact, I have a lot of snowbird friends, people who live in Florida six months of the year and live up North six months of the year. One of my old neighbors lives in Florida six months of the year and Rochester NY the other six months. Another couple I know lives in Vero Beach, FL and six months and in Alberta Canada, where they originate from the other six months. Both of these friends in these two examples are beginning to think of their “exit strategy” regarding owning two homes. One of them is a single septuagenarian and has decided to keep the house in Florida since it was willed to her from her parents. She says she will sell the house up North, downsize and rent when she is in Rochester. My friends in Canada will probably sell in Florida and spend the bulk of their time in Canada….partly because of the expense and partly because of the “free” Canadian medical care and the closeness to their kids and grandchildren. Oh, so much to think about while aging. Everyone’s “exit strategy” is different depending on all the circumstances however, since I have been told that my sons are not going to be spending much time in Columbus, Ohio where I now reside, and since I have decided that this is where I will stay, I will probably consider buying into one of these new units that I have just looked into after looking carefully into the pros and cons. I like the idea of being surrounded by neighbors in the same building as I would be in but I can honestly say I do have the perfect home for me without going into this move so….that makes it all the harder for me. The new condo would be a much better “exit strategy” than being left alone in my single family home but the added expense and the physical move is a big drawback. Also, a minor detail….or maybe not so minor, the new condo has no fireplace and that is a feature I love in my current little house. It is hard growing old and harder yet to try to figure out your own exit strategy. As they say, growing old is not for sissies. 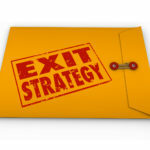 So, what is your “exit strategy”? I hope it works out for you. Only you can make the right decision for yourself while you are still of sound mind and body.